We understand how important final drives are to your operation, whether it’s a one-man company with a few specialized machines or a larger company that owns a fleet of construction vehicles. 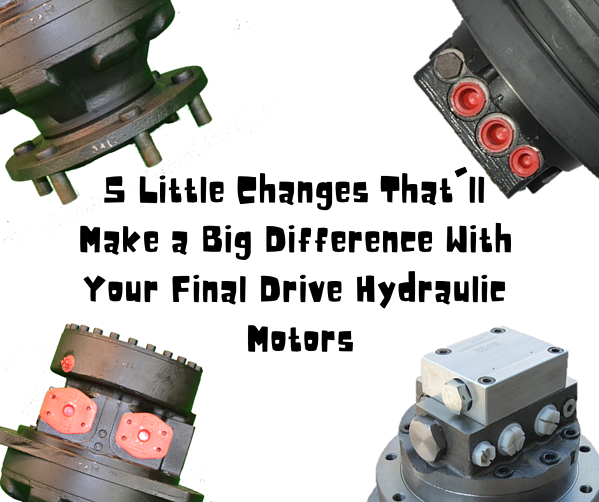 Small or large, we have some advice that will make a significant difference in the life of the final drive hydraulic motors that keep your machines running. When a leak starts, it’s most likely going to be a failed seal. Seals have a finite life -- they were never meant to last forever. When a seal begins to leak, you need to get it replaced as soon as possible. As we’ve pointed out in other blog posts, when fluid can leak out damaging contaminants can make their way inside. Once you pull the drive and determine which seal is leaking, you can replace it yourself or send it into a shop like Texas Final Drive. Keeping the area around your final drive clean can make a big difference in the life of the seals. We are referring to the undercarriage on your tracked machine or the wheels on your skid steer loader. So much dirt and debris can get packed in around the final drive that it can actually displace the seals, as you can see in the image below. This, of courses, results in a leak and abrasive contaminating debris getting inside your final drive. You can maximize the life of your seals by simply keeping the hydraulic motor area as free of debris as you can by using a pressure washer on a regular basis. If you machine has a case drain line, then it will have a case drain filter. Make it a part of your regular maintenance to periodically check and change the case drain filter. You can save hundreds and maybe even thousands of dollars of repairs by just keeping that case drain filter clean. 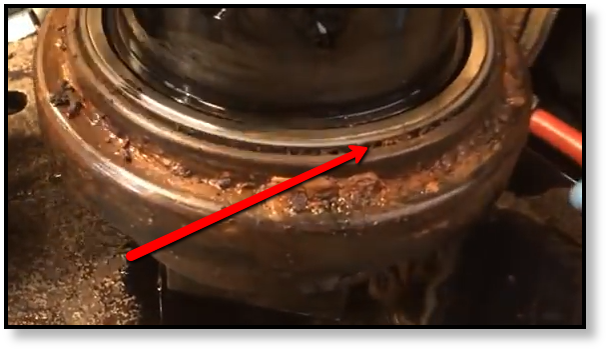 It’s a simple check that makes a tremendous difference -- many of the hydraulic motors that come into our shop were destroyed by failure to check and change a case drain filter. Equipment is going to make sounds -- but an operator knows when their equipment is making a slightly different sound. Whether it’s a strange new vibration that’s started or a disturbing squealing sound, it means something has changed. It could be an issue with the bearings, gears, or possibly the face seal. Any one of those could lead to even more expensive problems that can total a final drive. 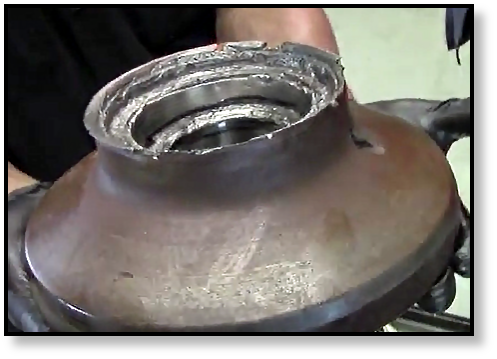 The image below shows the damage that a bad bearing can do. If you know a final drive is broken, don’t keep trying to run it. It will end up irreparably damaged, and could end up damaging the hydraulics system on the machine. This is especially true when there is metal-on-metal contact that results in flakes and metal shavings in the hydraulic fluid. The more serious the damage, the longer the repair will take. The longer the repair takes, the longer that machine won't be running. Attending to broken final drives right away will save you time and money in the long run. Five simple tasks can help your final drive run longer and more efficiently: don’t ignore leaks, keep your machine clean, check the case drain filter, and don’t ignore new sounds that your final drive starts to make. These simple maintenance tasks can significantly extend the useful life of your final drive and keep your machinery running smoothly.